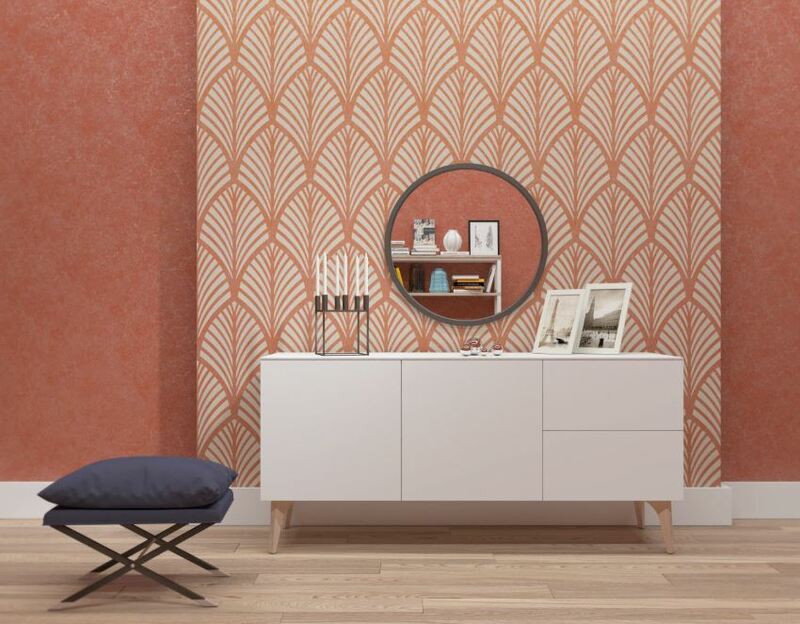 A stenciled wall may seem like a big commitment, but there are some questions you can ask yourself to help choose a selection that you’ll love for years. 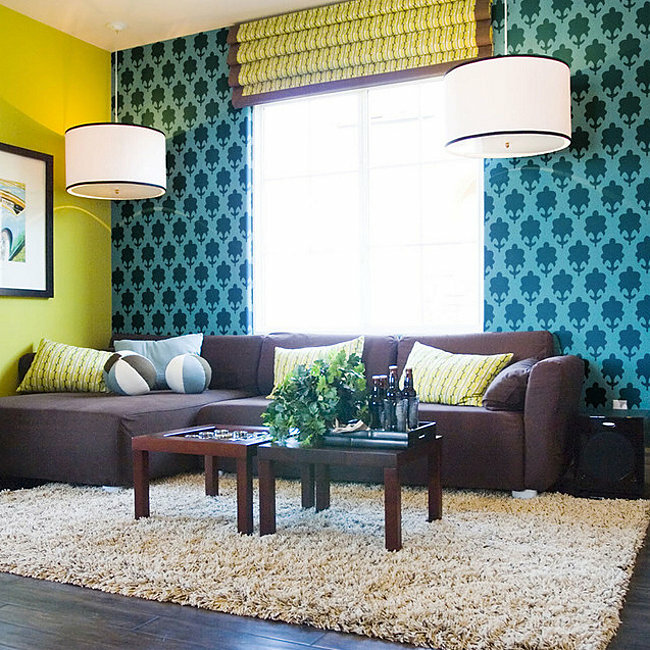 Stenciled walls are a great option for children’s rooms. 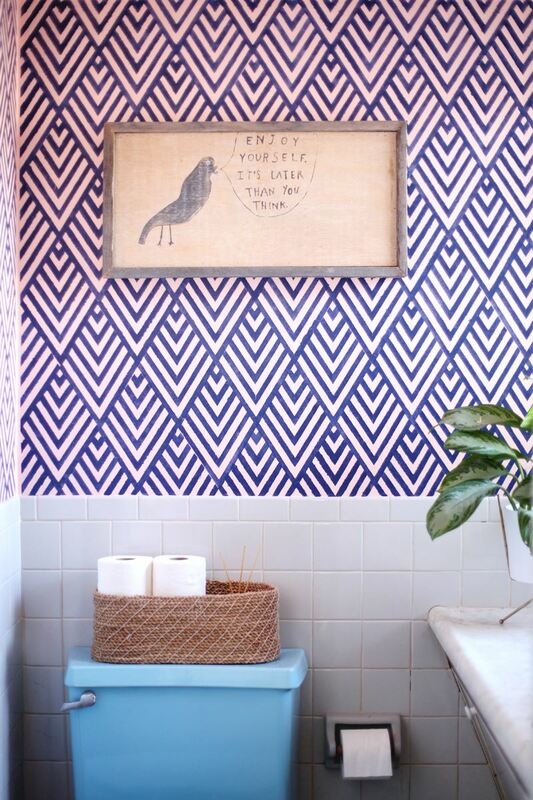 This stenciled cloud wall was created by Merrilee Liddiard of Mer Mag using stencils by Handmade Charlotte. 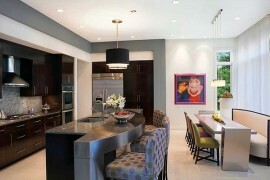 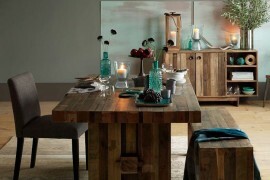 Whimsical, modern and sweet! 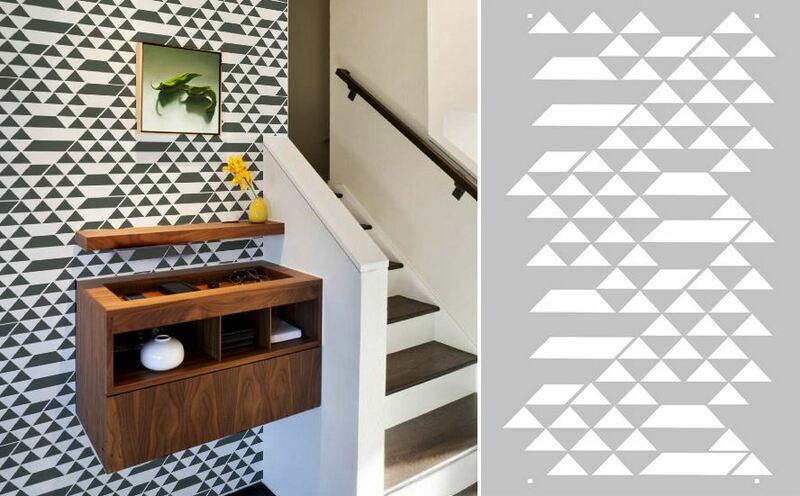 If you love the patterned look but you’re not up for painting, there ARE wall “stencils” available that closely resemble decals. 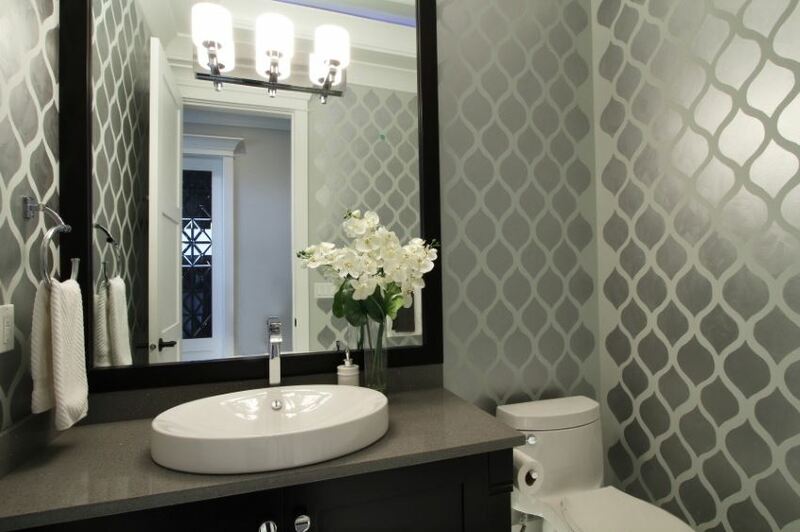 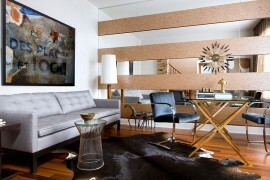 For example, the Floral Crown Pattern Wall Stencil from My Wonderful Walls (sold via Houzz) is a peel-and-stick option. 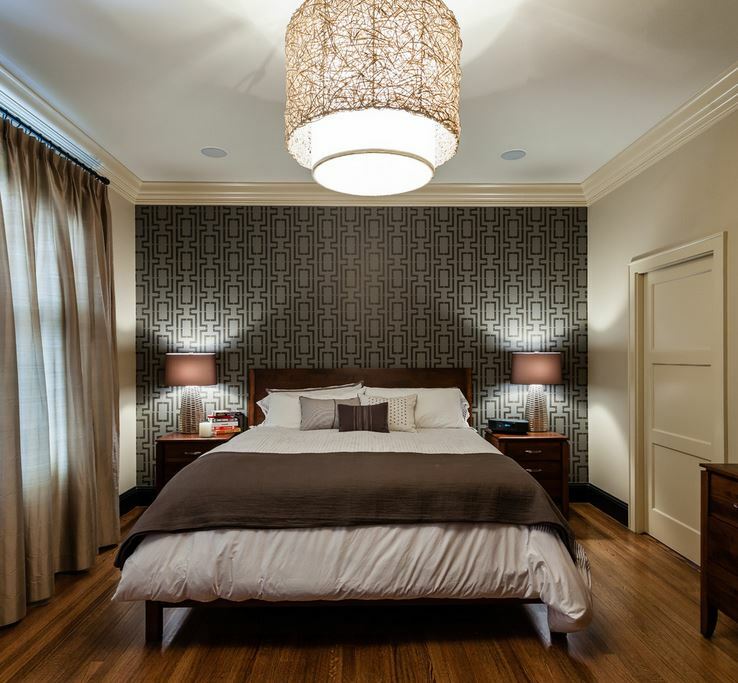 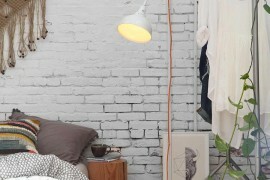 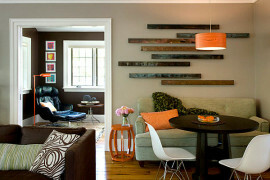 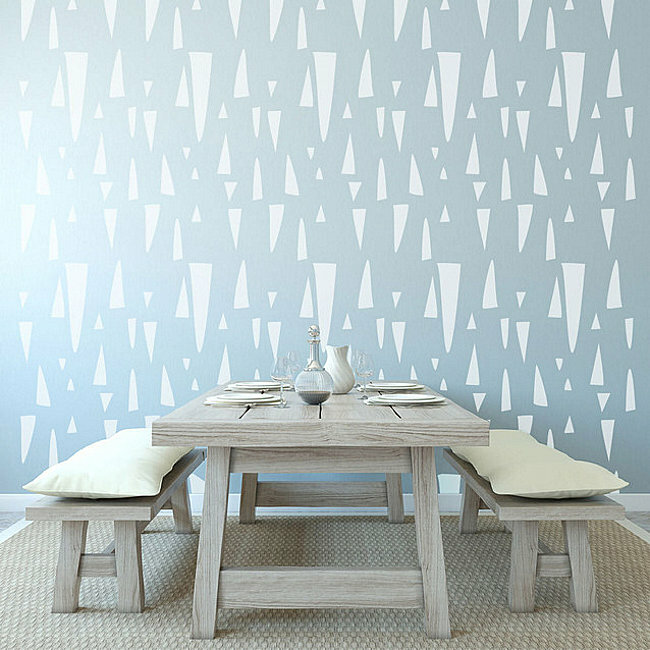 Stencils are sold in sheets, and you purchase the number of sheets needed to cover the wall. 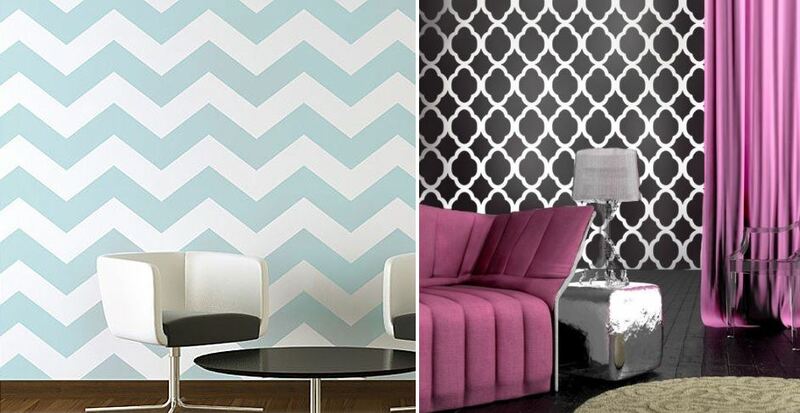 More expensive than actual stencils, this solution is definitely hassle-free! 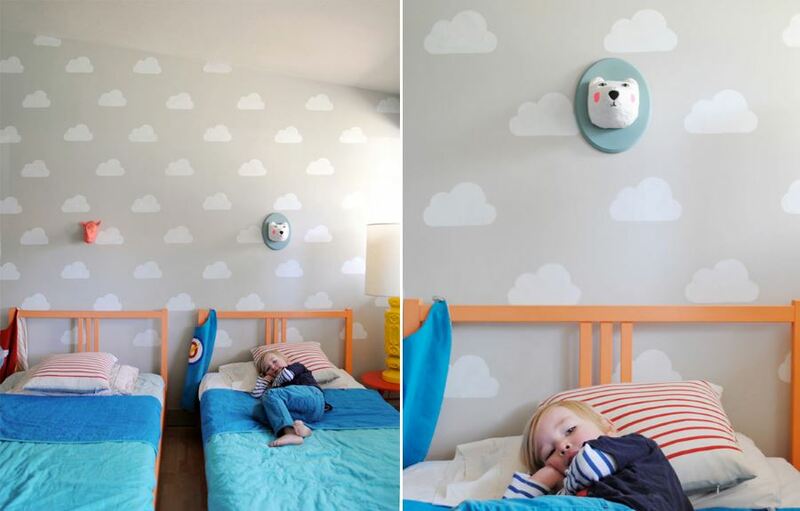 This moon wall from Vtwonen is child-friendly, clever and modern. 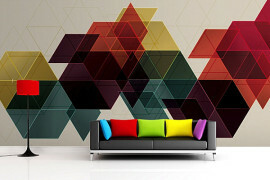 Would you create a custom stencil to achieve a mural effect in your child’s room? 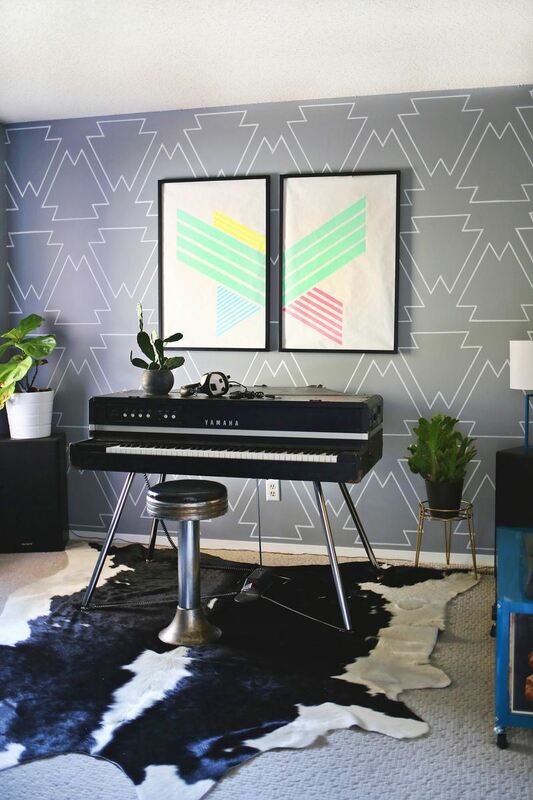 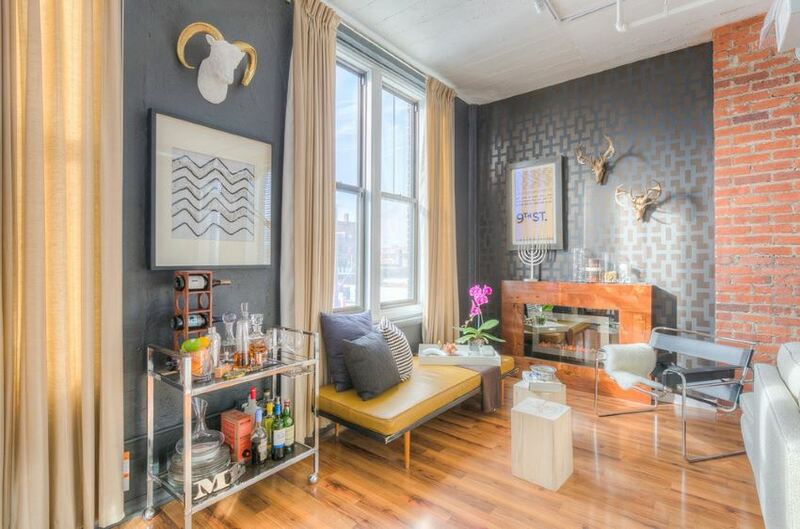 The geo stencil below from Storenvy can be used to create an entire wall of patterning (as shown below, left), but we’re loving the idea of turning the stencil (below, right) on its side to create a geo border on a painted accent wall. 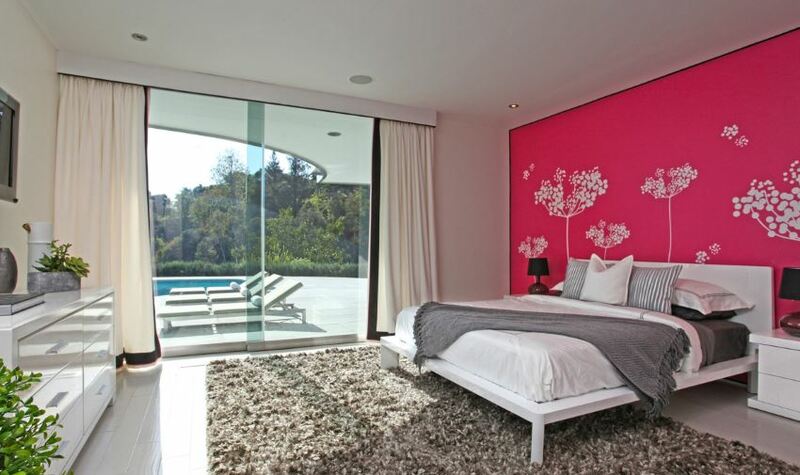 This modern bedroom from Architectural Elements & Design features a vivid pink wall with a dandelion mural. 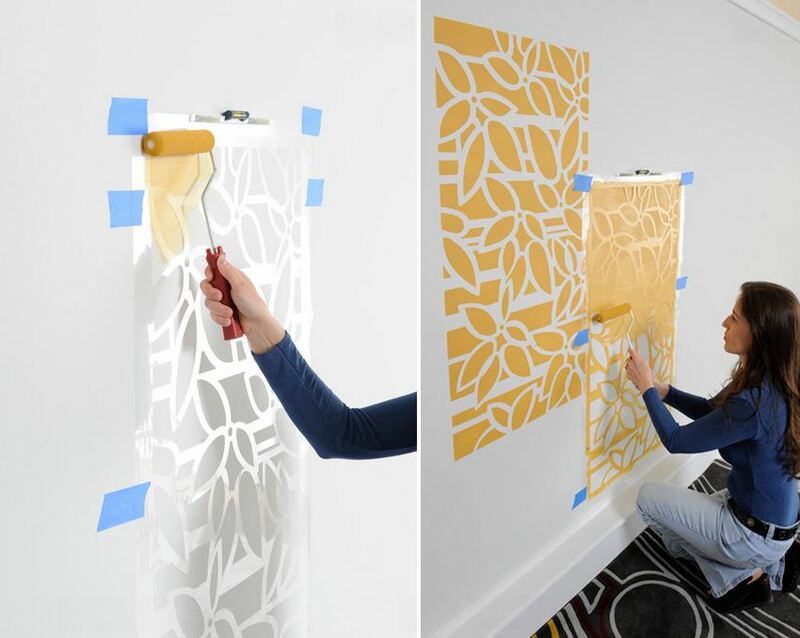 It’s unclear whether the design is painted or created with decals, bit it inspires us to create our own large stencils to make the painting process easier (if hand-painting seems too daunting). 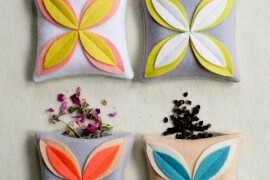 Try creating the flowers using a stencil, then free-handing the stems if you wish!